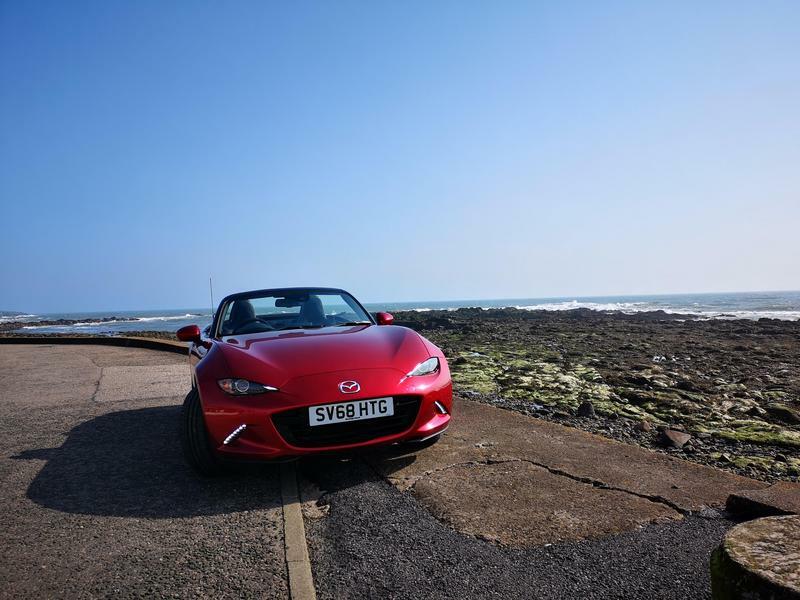 MX-5 Scotland • View topic - [ND] New 184 2.0 compared to 132 1.5. 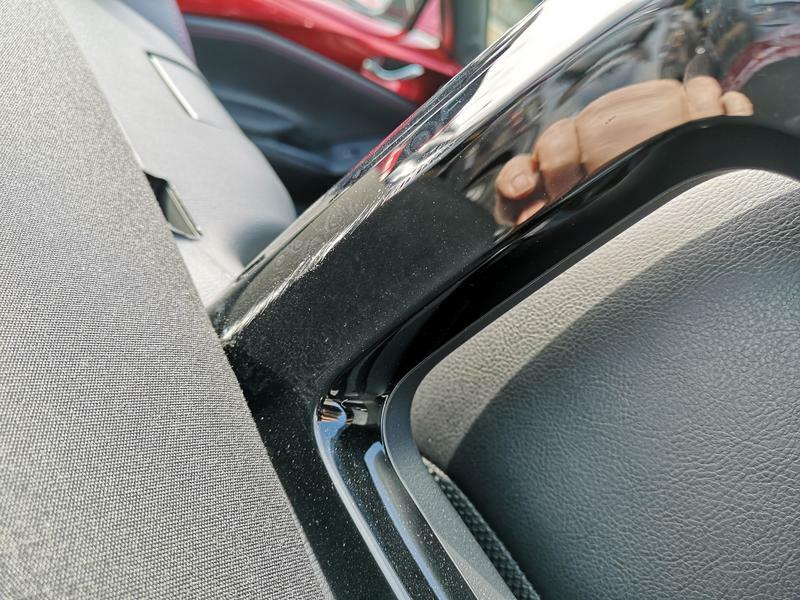 I got to test drive the new 2.0l 184 engine today in the newer Soul Crystal Red colour (hood rubbing on hoops problem apparent still in a brand new car! ). It was worth taking a day insurance policy for £15 to have the car for as long as I wanted without a sales person in the passenger seat. I drove a specific route in the 1.5 before taking the 2.0 out and doing it again. 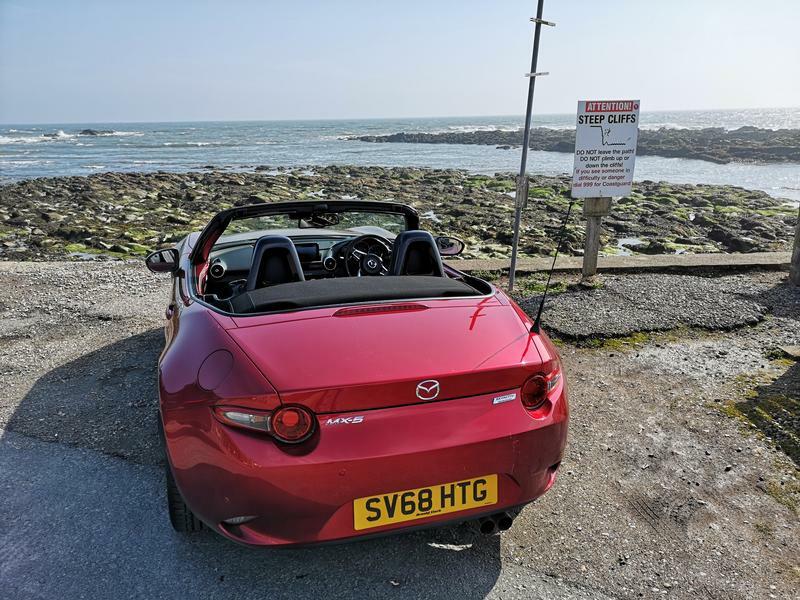 The 1.5 is no slouch, this 2.0l could be described as properly quick... the engine is strong, not quite the same rev happiness as the 1.5, not far off, excellent though. Handling fresh out of the box on this 2.0 Sport Nav+ (with bilsteins) is excellent compared to the roll that was present on the 1.5 (with standard shocks) before lowering. After getting back in the 1.5 it felt more agile, lighter steering, probably the fact that is lowered and aligned and with softer rubber than standard. Anyone want to buy my 1.5? Re: [ND] New 184 2.0 compared to 132 1.5. £15 well spent it appears. 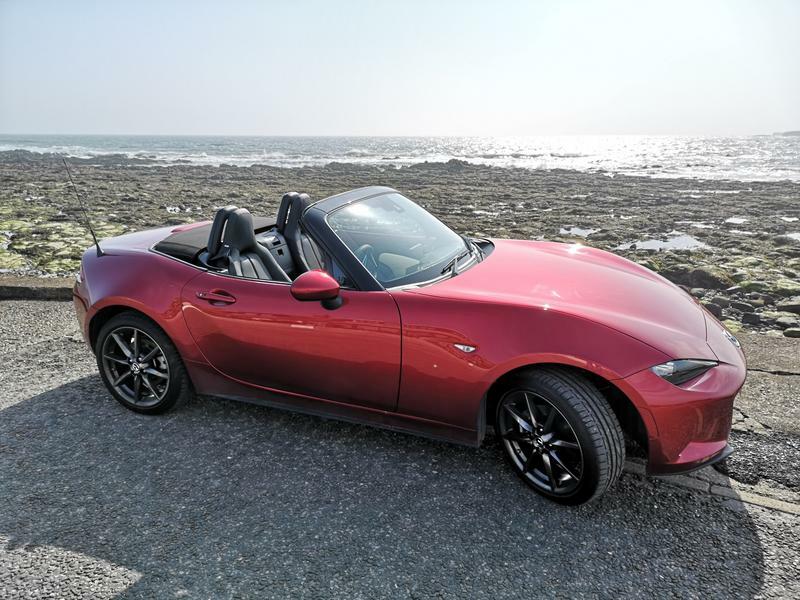 That new soul red is amazing when the sun hits it isn't it! Really do love that colour and although I wasn't a huge fan of the mk4 when it launched, have to say I really do like them now. 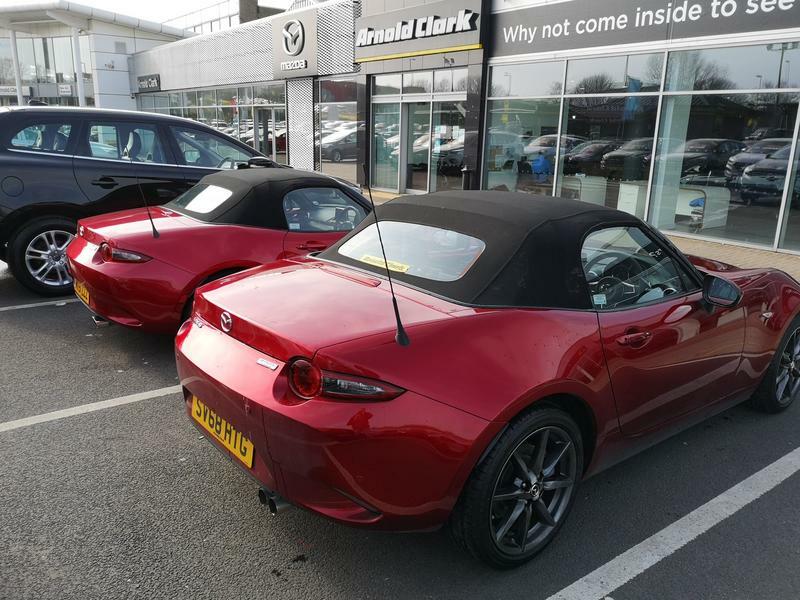 From some angles you can actually see more resemblances to the mk1 than any other mx5 has. I'd have one! Nice comparison there, and useful info. chillax wrote: That new soul red is amazing when the sun hits it isn't it! Really do love that colour and although I wasn't a huge fan of the mk4 when it launched, have to say I really do like them now. 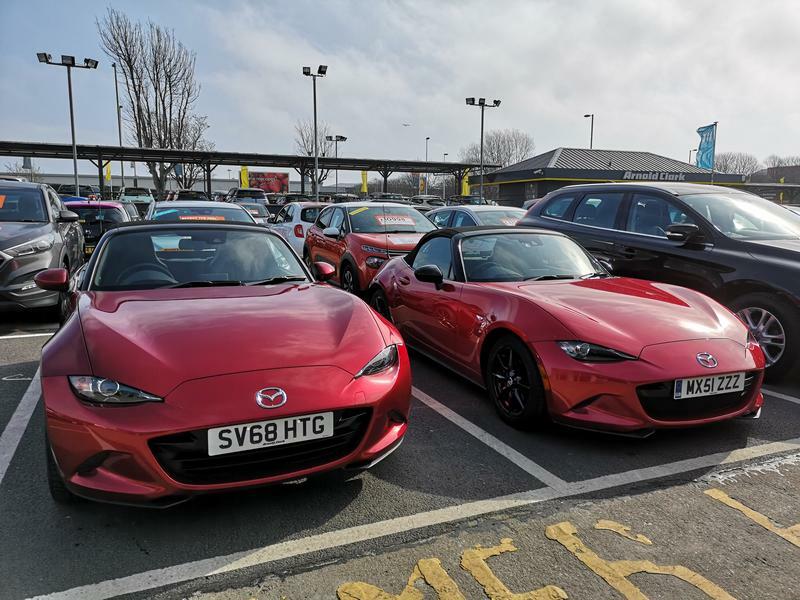 From some angles you can actually see more resemblances to the mk1 than any other mx5 has. I'd have one! Lol unfortunately pockets are empty!